Iggy Azalea recently gave a long radio interview to Power 106, and she opened up about losing the Grammy Award for Best Rap Album to Eminem. Iggy did deal with an insane amount of backlash after she won the AMA Award, and I can see why she was so hesitant to win another major award. The media would never have let her live it down had she won another major award, and the backlash would have just grown to an insane level. She was already forced to quit several social media outlets after people bashed her cellulite online, even though it’s human and NORMAL to have cellulite. Plus, there’s the endless body criticism that Iggy faces, not to mention the whole thing about cultural appropriation. Obviously, Iggy Azalea has become a mainstream music icon, and that makes her fodder for everyone online who has nothing better to do. However, she also invites some of the criticism by being as outspoken as she is, but as a rapper, she’s kind of entitled to that, no? What do you guys think? Were you rooting for Eminem or Iggy Azalea to win Best Rap Album at the Grammys this year? 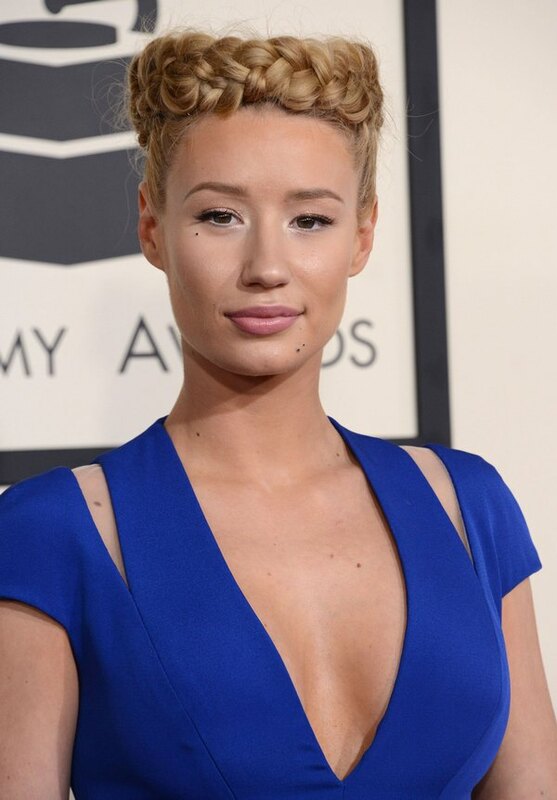 And if Iggy had won, do you think the backlash would have been extreme/driven her out of town? Or would it have just been another feather in her cap? Let us know your thoughts in the comments below.